Posted in Ayahuasca, Borka Cafuk, Consciousness, Culture, Kambo / Sapo, Medicine, Psychedelics, Shamanism, Shonagh Home. 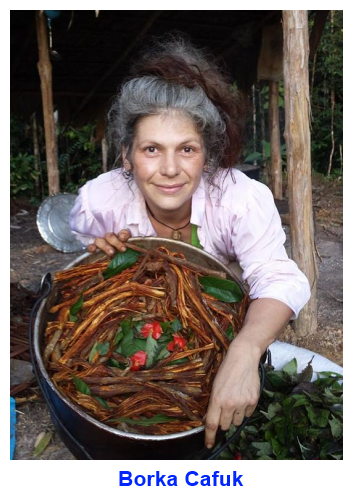 I have recently had healing work with Borka and ayahuasca and she is truly amazing, her work was like no other shaman I’ve met. The integrity, wit, humor, and deep wisdom of this woman is incredible. Thank you borka! ! Thank you for this episode. I am intrigued with Borka however, Shonagh needs some lessons interviewing people. She kept interjecting her own stories which detracted from getting to know Borka better. Must’ve been her ego. I love the salon. Thanks Lorenzo. I love your podcast. The casually matter-of-fact, mean-spiritedness of people never ceases to amaze me. The look in Borka’s eyes makes my heart sing. Great to see you here Niles. Too bad we don’t have Kathleen’s salon for those infrequent path crossings any more.